Got a question about old barns? In 30 years of working with timber frames, I have learned a lot – not only about timber frame construction itself, but also about the history of colonial America. So I decided to add a Frequently Asked Questions section to the Green Mountain Timber Frames website. There, and on my blog, I will be sharing some of the knowledge and techniques I have acquired on the job. I am happy to answer any other questions that my readers have, so please feel free to ask them and I will do my best to respond to them on this blog. How much does it cost to renovate an old barn? When first approached by customers interested in buying an old barn or renovating a historic timber frame, I am often asked about the costs involved. When creating a proposal for a prospective client, I work hard to make timber frames affordable and to use every piece of wood the structure has to offer. Today’s going rate to have experienced craftsmen take down, restore and erect an old timber frame ranges from 50 to 80 dollars a square foot. This includes the cost of purchasing the vintage frame from its original owner. 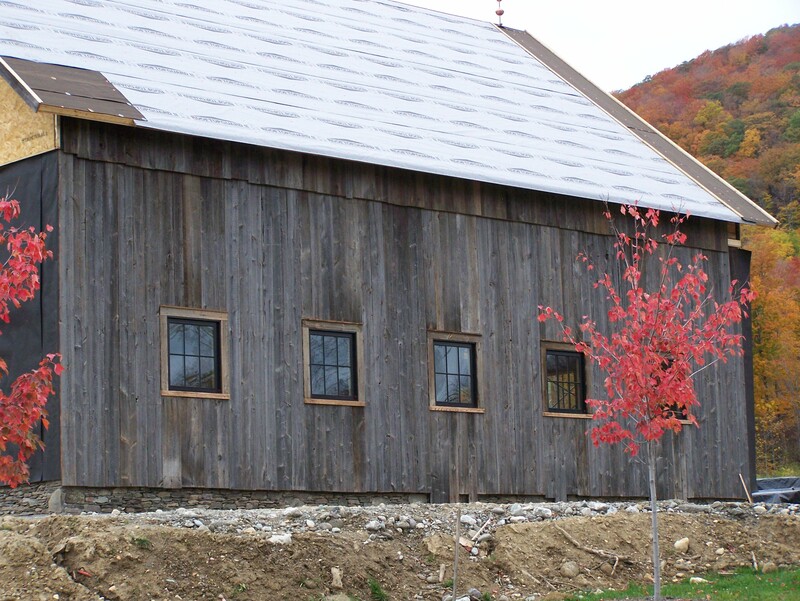 When you purchase a post and beam frame from Green Mountain Timber Frames, we provide all of the wood that comes with the frame, such as siding, roof boards, flooring, etc. Our prices also include the cost of installing the roof boards when we erect the frame, a bonus not often provided by our competitors. If you are interested in pricing out a timber frame or finding a historic barn frame in a certain price range, please do contact me! We can explore the options available for realizing your vision of living in a historic barn home. This entry was posted in Green Mountain Timber Frames, Post and Beam, Timber Frame Projects and tagged American heritage, barn restoration, barn style homes, custom barn home, historic New England, historic properties, historic timber frames, Post and Beam, price of historic homes, price of old barns, price of timber frames, vermont timber frames, vermont timberframe by Green Mountain Timber Frames. Bookmark the permalink.